Barbecue all year round under a beautiful custom patio cover, protecting your furnishings, and creating a safe outdoor space for kids on rainy days. There are numerous reasons for an MCA designed and installed patio cover, but for us it’s about making your dream become a reality quickly and with the highest quality. Learn why we offer the best deck covers! Lifetime Patio and Deck Covers are custom designed by Mr. Cover All and manufactured by our partners to your unique specifications and budget. Every patio and deck cover is specifically engineered for use on different styles of residential homes, commercial buildings and businesses. In addition to being a functional outdoor shelter, a patio or deck cover adds an entirely new dimension to your outdoor living space for year round enjoyment. Deck Covers are available in 3 different materials, or any combination of the 3 materials. a. Aluminum Patio & Deck Covers. b. Glass Patio & Deck Covers. c. Acrylic Patio & Deck Covers. d. Pergola Style Patio & Deck Covers. These are other Deck Cover options we offer. The SunGuard® Romanza is a new European style stationary awning with an exciting contemporary flair, made for doors and windows. 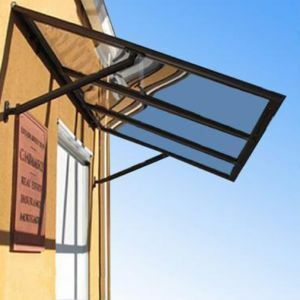 Like an entrance canopy, this awning can redirect sun, rain, and snow to keep your guests in comfort as they enter your home or business. Fabricated from high grade aluminum, the “Pergola” offers a lighter, maintenance free option that does not rot or need replacing. 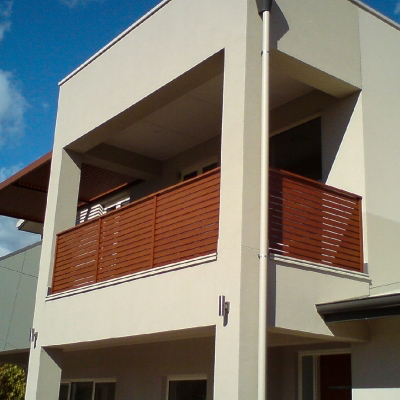 Popular architectural feature that provides shade and makes for an attractive outdoor structure. Manufactured for strength and durability, no twisting, bowing or staining required. As with all of our products it can be customized for your projects. Aluminum offers a lighter weight option for ease of transport and installation. MCA can combine your pergola with our traditional roof systems and other products, this all-encompassing assortment of outdoor living products allows us to be your one stop provider. Custom engineered designs and colours are meant to showcase your home by expanding your present living area and by creating an attractive outdoor living space. Properly designed custom deck covers don’t leave anything to chance or improvisation. We have your roof system properly engineered, and our professional installation team makes sure your vision comes to life which adds value and quality of life to your residence. All Patio and Deck Covers are manufactured in Canada and have Canadian snow loads in mind. Skylights of various types, styles and materials are available for all of our covers.